UTOPiAfest Down In The Oaks is a unique music festival with an ultimate camping experience you won’t forget. 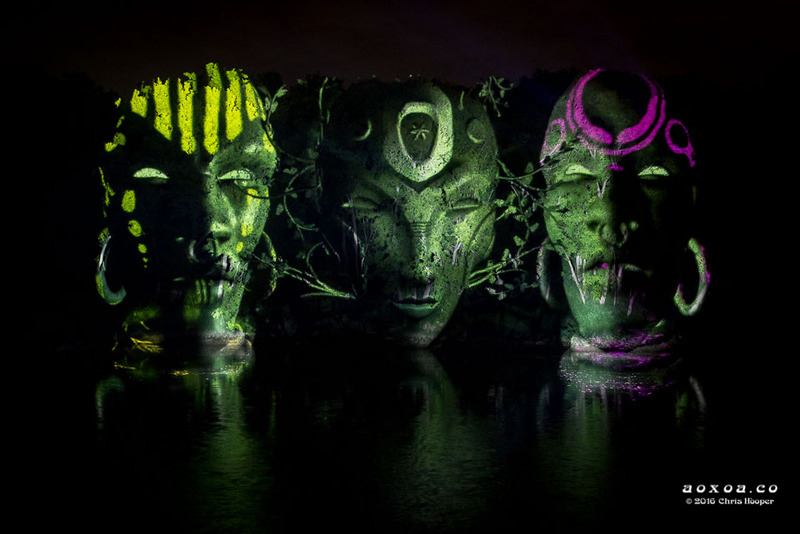 November 2-4, 2018. (Pre-party on the 1st). New Venue near Burnet Texas (45min from Austin). Features 35 bands including STS9, Lukas Nelson, Patty Griffin. Curated culinary and beverage experience. 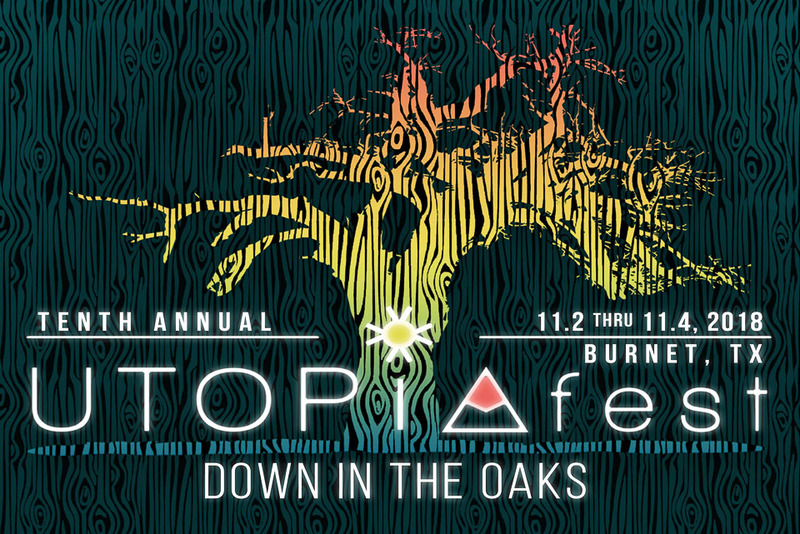 UTOPiAfest Down In The Oaks on November 2-4, 2018. (Pre-party on the 1st). 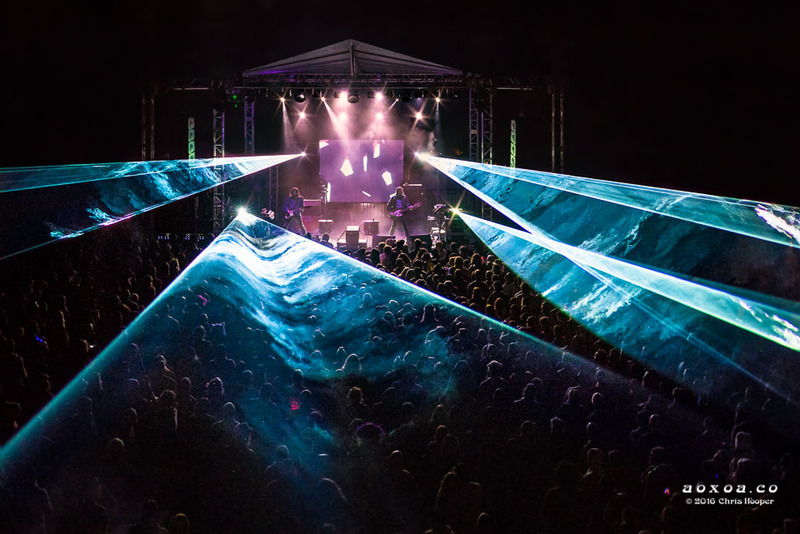 The tenth iteration of the festival will feature a lineup of world class artists, that include STS9, Patty Griffin and Lukas Nelson headlining the weekend, along with a strong showing of some of Austin’s best up and comers. Early bird pricing is in effect, so don’t delay getting tickets at the best price of the year. Euphoria Music Festival 2017 review starts with Thursday night’s party at the Art Outside village. Pre-parties like this are a jewel in your festival crown. Especially when Art Outside and their affiliate artist set the stage. Very few bring the mojo like this. 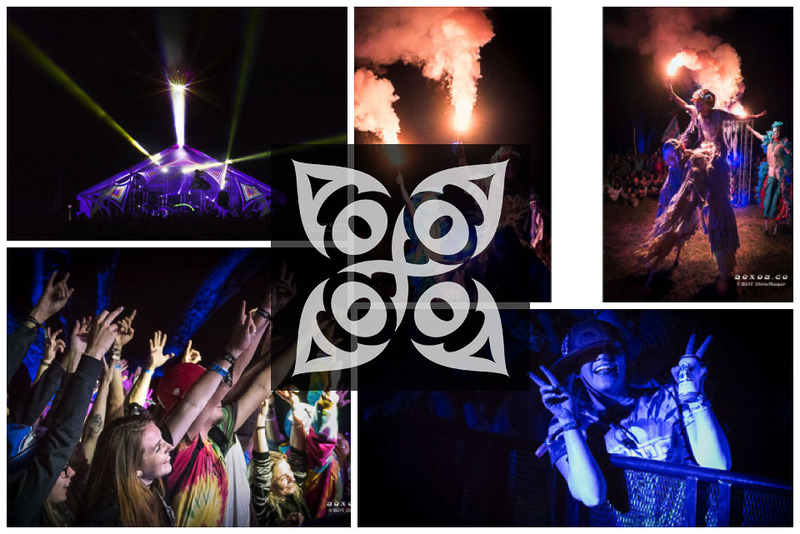 Euphoria 2016 review: the tribe is home at Carson Creek Ranch, an idyllic pastoral setting bordered by the scenic Colorado river with three stages of music bliss. 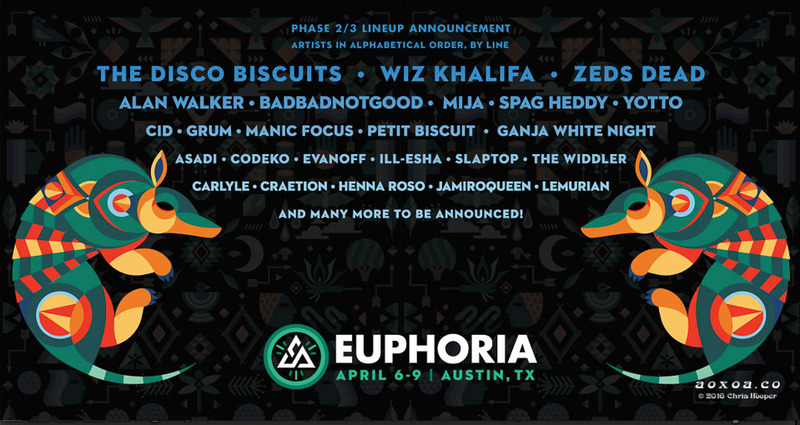 Overall, the 5th annual Euphoria Music and Camping Festival was outstanding. Our review closely precedes the upcoming 6th annual event. Veterans of the Euphoria Tribe take pleasure in the nostalgia and come again. Potential newcomers, join the tribe. 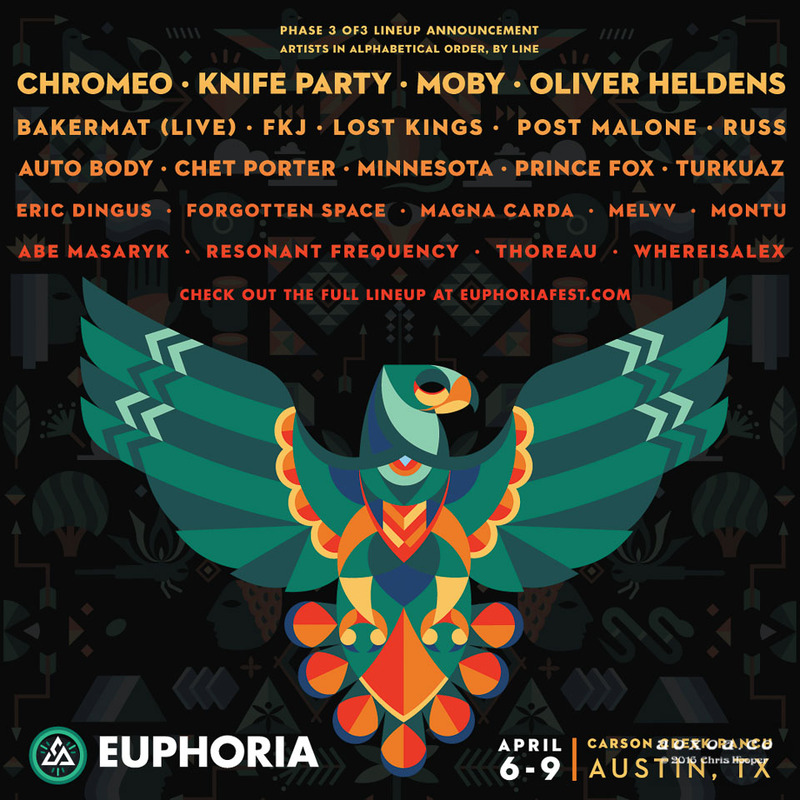 Tickets for Euphoria’s 6th anniversary are on sale. Alesso, Chromeo, Pretty Lights Live, Wiz Khalifa, Young Thug and Zeds Dead headline for 2017.